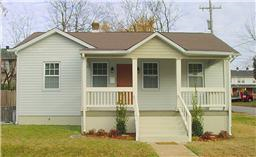 Cute little starter cottage with covered front porch, hardwoods, new kitchen, new bath, mudroom and laundry closet. Fenced rear yard, lots of upgrades. Home Warranty included, truly move in ready!